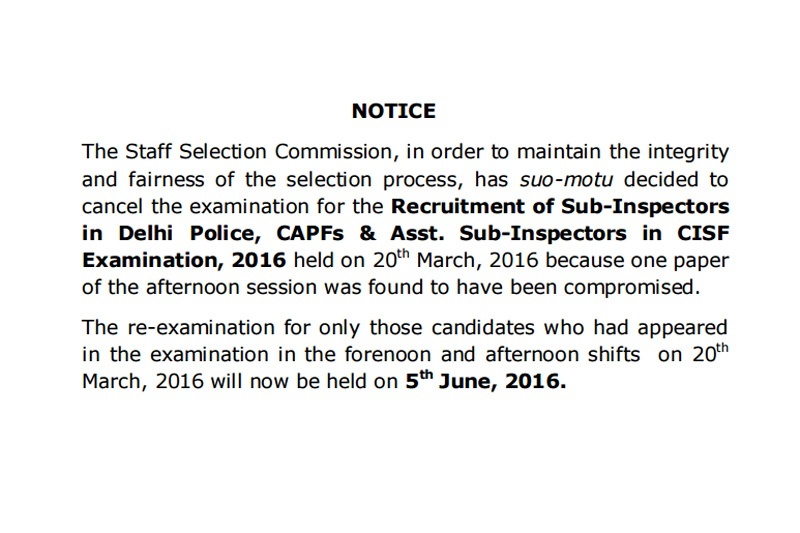 Staff Selection commission (SSC) has cancelled the much talked SSC CPO 2016 Exam With Immediate Effect. SSC CPO (SI/ASI) exam held on March 20 has been cancelled by staff selection commission on the charges of paper leak. SSC CPO 2016 Exam was conducted for Recruitment of Sub-Inspectors in Delhi Police, CAPFs & Asst Sub-Inspectors in CISF Examination, 2016. 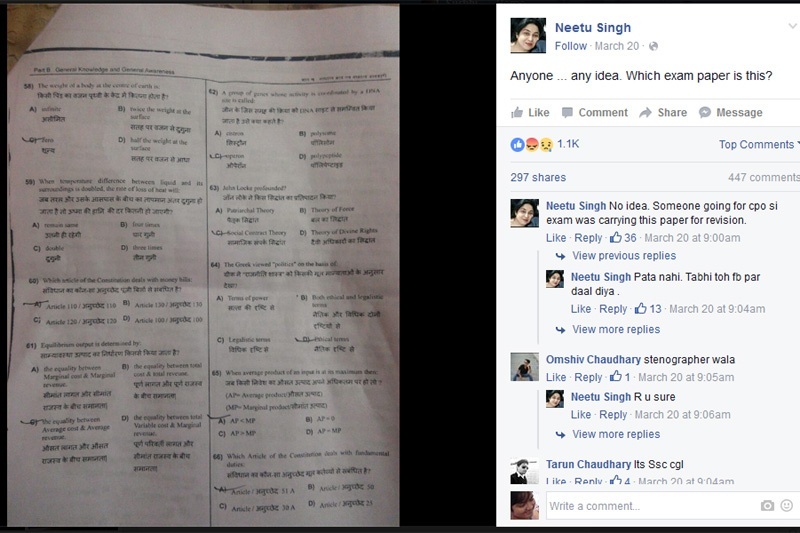 It is to be believed that the images of the question paper went viral on social media i.e. What’s App and Facbook on day of exam i.e. 20-03-2016. The Question paper was uploaded on the facebook five hours before the exam. The question sheet uploaded was featured in the evening shift of the exam. The Re Examination of the SSC CPO 2016 will be conducted on 5th June 2016 only for those candidates who had appeared in the examination in the forenoon and afternoon shifts.